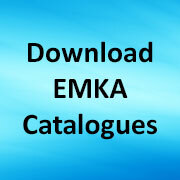 The EMKA group is pushing development of our Gasketing division because of the high demand for gasket sealing profiles world wide – as the world market leader for cabinet locking systems we are delighted to be doubling production capacity. The rubber plant in Arnedo, in the region of La Rioja, Spain, in particular, is going to supply significantly bigger quantities in 2018. “Made in Europe”, has long been the manufacturing strategy of EMKA and since 1989 we have been manufacturing carrier sections as well as hollow extrusion profiles and lip seals, a production which is now to be doubled in 2018. 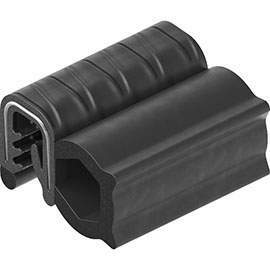 EMKA supplies gaskets of silicone and the synthetic ethylene propylene rubber EPDM. Depending on the requirements and the area of application, the suitable material has to be selected so that the sealing system works in practice. For switch cabinets, EMKA mainly uses EPDM for soft and foamed rubber gaskets. We also offer a combination of soft and foamed rubber as a hybrid solution as shown. Share the post "EMKA is doubling production capacity for gaskets"